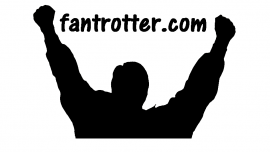 FanTrotter.com is building a powerful search tool that will enable fans to view the schedules of their favorite bands, sports teams, festivals and other events and conveniently choose the best and least expensive tickets, flights, hotels and car rentals to get them to the event and back. This FREE one-stop-shopping site will facilitate travel shopping coordinated with ticket prices for ticketed events around the world, presenting an estimated total price for the entire experience and enabling one-click purchase options. Instantly see where your favorite band, team or performer will be, how their schedule syncs up with yours, and what the most economical places are to travel to see them. Thinking of taking a quick trip with family or friends to see one of your favorite bands, teams or performers? It's about to get a lot easier to plan! 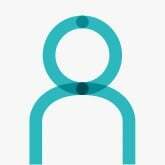 Our user acquisition strategy is primarily to reach out to fans of bands and sports teams via online message boards and forums in order to directly reach the most targeted and passionate audience we can think of. Beyond that, we will focus on social and PR. We may start doing some paid marketing where it makes sense. And SEO may be an option down the road, but honestly, we would rather flip the bird to Google on this one and build a real brand! We have been posting in band forums about the idea and getting great a great response with over 100 people signed up already!